Sheryn Ellis, Tallai Pet Photographer captures quirky pet personalities. Gold Coast photographer Sheryn Ellis was named a finalist in the Pet Category at the recent AIPP (Australian Institute of Professional Photography) state awards. 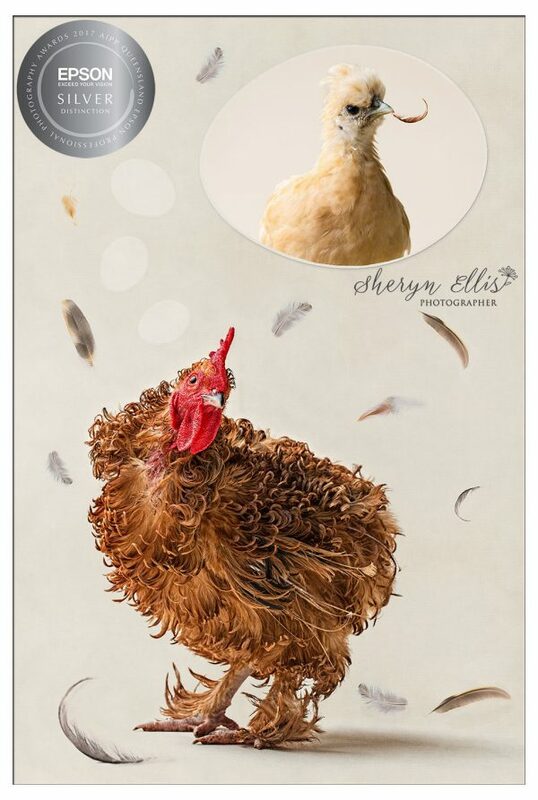 Ms Ellis, known as the ‘crazy chicken lady’ after her quirky portrait of chickens in hilarious poses won multiple awards. 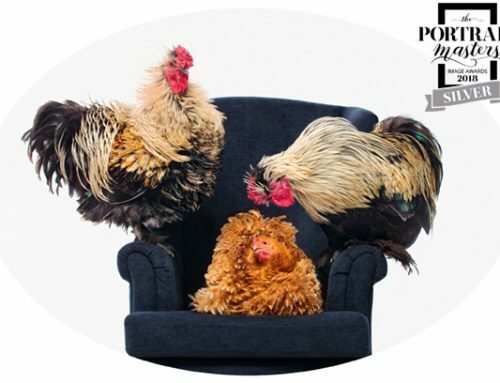 “This was my first time entering the Pet/Animal category and I had crazy ideas of how I could show the awesome personalities of chickens”, Ms Ellis said. “The four images I entered are only the beginning of what I hope will be a series of entertaining ‘chicken antics’”, Ms Ellis said. 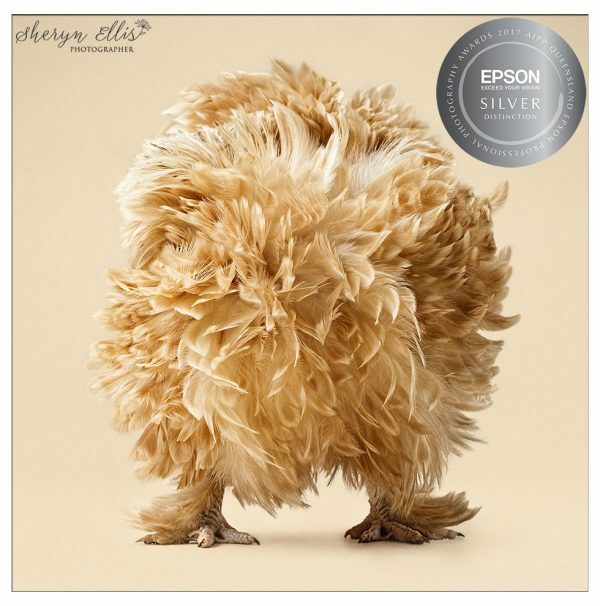 “My favourite image is referred to as the ‘chicken’s bum’ but it is actually the front of the chicken with its head hidden under a wing”, Ms Ellis said. Another portrait of a scruffy rooster dreaming of his ideal hen created quite a stir at the judging. 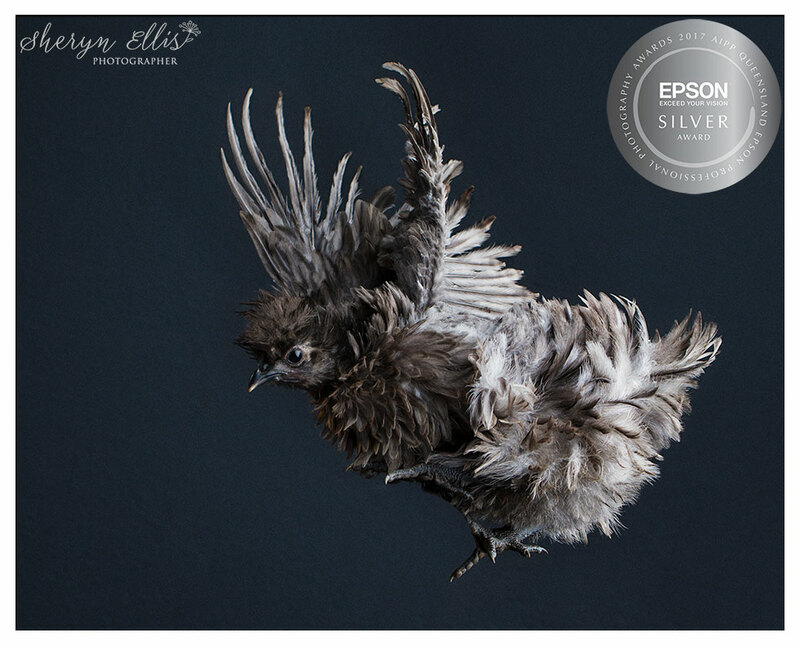 Ms Ellis is currently working on her chicken images in preparation for the National awards held on the 26-27th of August in Melbourne. 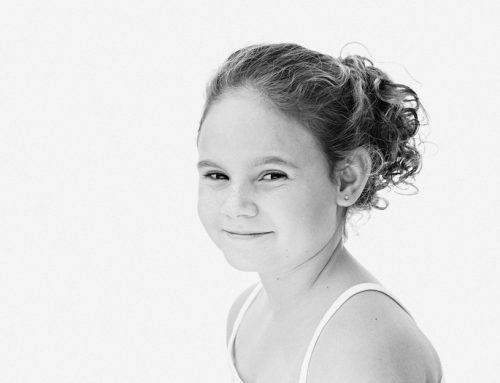 “When I’m not being a crazy chicken lady, I work on a personal project called #freckleproject”, Ms Ellis said. 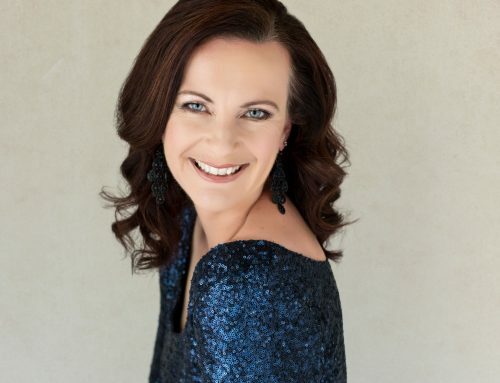 “I want to change the perception of what is beautiful by showing emotive images of 101 freckled children for an upcoming exhibition and book titled “The Faces We Change”, Ms Ellis said. “The faces We Change” is due for release in November. I’m excited to offer my pet photographer skills to create fun, unique images for you. Please contact me so we can chat about your awesome fury or feathered friends.